“Honestly I could only have dreamed of having this kind of gap,” said Hamilton after holding off a late charge from Max Verstappen in Suzuka. 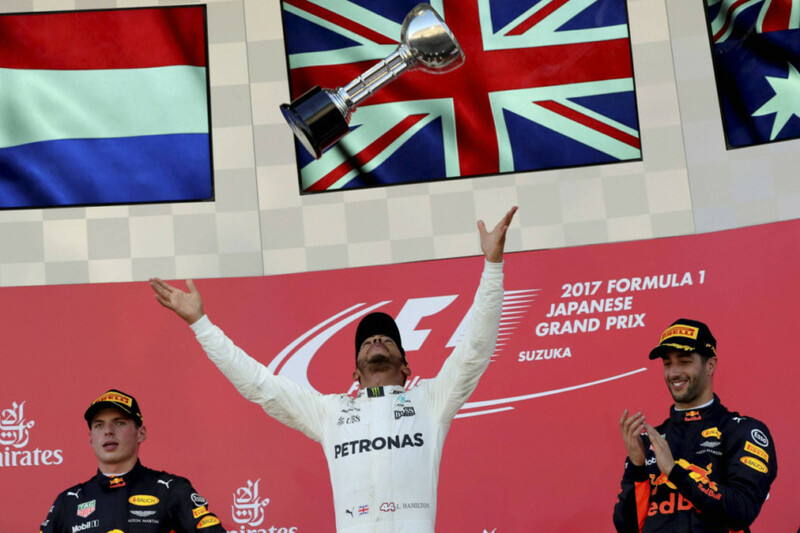 Hamilton celebrated a fourth victory in Japan and a 61st career win with a “Mobot” pose, a tribute to his friend Mo Farah, the Olympic champion athlete, who was watching trackside. Vettel’s title hopes, meanwhile, suffered a potentially fatal blow with four races left following nightmare start from the front row.